Whether you use VMware or another virtualization solution, you can rely on ESET protection to keep your VMs secure. An ESET Virtualization Security for VMware NSX and vShield appliance streamlines the agentless protection of all virtual machines and provides high performance security that won’t slow down your VMs. ESET Virtualization Security Appliances can be deployed on multiple hosts at once. Your ESET security can be managed by ESET Remote Administrator 6, which also comes as a virtual appliance. Transfer your existing licenses when migrating from physical machines to virtual machines at no extra cost. In addition, the solution natively supports VMware vMotion and vCenter and is compatible with ESET Remote Administrator 6, ESET’s web-based console, allowing direct drill-down capability to virtual machines for rapid task execution and complete endpoint security management. 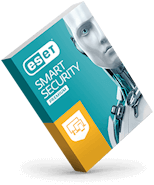 With ESET Shared Local Cache and the protection of an agent-based ESET security product, you get the same full set of tools and security features that you would have in a physical environment, plus significantly boosted scanning speed. Virtual machines commonly share the same base image, which results in 70-80% duplication of files between machines. ESET Shared Local Cache saves metadata about clean files from previously scanned machines within the same hypervisor. This means that files already scanned on one virtual machine are not repeatedly scanned on other virtual machines within the same virtual environment, resulting in a significant scanning boost. ESET Shared Local Cache coupled with an agent-based ESET solution delivers comprehensive IT security for your business via multiple layers of protection – including our proven ESET NOD32? detection technology and fully adjustable scanning options. Physical and virtual machines are managed from a single point via ESET Remote Administrator allowing role-based management and a “look & see” web-console dashboard with drill-down capabilities that can be used to execute any action that is required. ESET Remote Administrator can be installed on Windows as well as Linux servers, and also comes as a Virtual Appliance. The ESET Remote Administrator virtual appliance simplifies deployment of ESET Remote Administrator and is faster than using the all-in-one installer or component installation packages. It supports native/bare-metal hypervisors (VMware vSphere/ESXi, Microsoft Hyper-V) as well as hosted hypervisors that usually run on desktop operating systems (VMware Workstation, VMware Player, Oracle VirtualBox). The Virtual Appliance comes as an OVA (Open Virtualization Appliance) file and contains multiple ESET Remote Administrator Server Components – including server, rogue detector, proxy, and mobile device management. 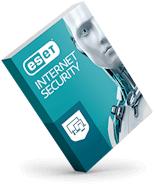 ESET server security solutions are designed for virtual environments and come with a range of features to provide seamless operation and high performance. The admin can define processes which are ignored by the real-time protection module – all file operations that can be attributed to these privileged processes are considered to be safe. This is useful for processes that often interfere with real-time protection, like backup or live virtual machine migration. 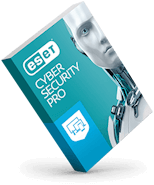 ESET updates and program modules can be stored outside of the default location – so are not affected by reverting to an earlier snapshot of the virtual machine. As a result, the updates and modules don’t have to be downloaded every time a virtual machine is reverted to an earlier snapshot and the reverted machine can utilize untouched updates and avoid large downloads, resulting in faster snapshot recovery times. Scans Microsoft Windows? servers with enabled Hyper-V role for malware, without the need to have another instance of an antivirus product in place. Saves time by scanning the hard-drive contents with no pre-arrangements or system downtime and provides separate reports based on the scan results. For enhanced performance, lower memory consumption and CPU usage, scans can be carried out on virtual machines while they are turned off. Allows you to configure the solution to automatically replicate settings when installed in a cluster environment and manage them as one, eliminating the need to replicate changes in configuration manually to other nodes in the cluster. Choose between three flexible licensing solutions that let you get the most out of ESET virtualization security solutions. You can choose from 3 distinct types of licensing ? per virtual machine (A), per host (B), or per processor (C) in a way that matches your needs, the network infrastructure, and the way you use your virtual environment. ESET Shared Local Cache comes free with the license of any ESET security product(s), at least one of which must be present on each virtual machine.